More than 20 million Americans suffer from diabetes, which is a serious health condition that is known to have numerous complications, including gum disease, according to emerging research. Gum disease often begins with a buildup of plaque, which houses harmful bacteria that can irritate and inflame the gum tissue. Once gum disease spreads, it can trigger body wide inflammation. Gum disease is associated with numerous health problems, including kidney disease, heart attack and stroke. A regular dental exam, cleaning and X-ray can identify gum disease at its earliest stages so that you can take steps to treat it and prevent further damage. Research reveals that diabetes and gum disease are very closely linked. Those who have diabetes are more susceptible to gum disease, and diabetics with gum disease may struggle more to control their blood glucose levels, which can worsen their symptoms and create more complications. High blood glucose levels can create further oral health problems and decrease their ability to fight off oral bacteria. They may also be more likely to struggle with dry mouth, develop thrush or candida and have mouth ulcers and cavities. The best way to prevent these problems is to control your blood glucose level and maintain good dental hygiene. 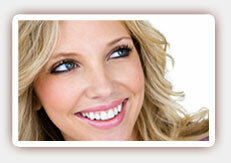 Regular dental visits are also crucial to your dental health. Talk to our dentist about your health care regimen and any medications you use so that we can adjust your dental care needs as necessary. 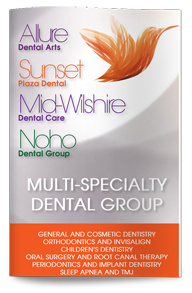 Contact Dr. Poneh Ghasri DDS, West Hollywood dentist for a consultation or to learn more.